It’s the holiday for sharing love with those around you…a neighbor who is always there for you, a creative sister you share your deepest thoughts with, your sweet child who has stolen your heart, or the love of your life who makes your heart go pitter-patter every time you kiss! Everyone needs to be loved and to feel loved. Show your loved ones how much you care with something extra special: a handmade card or tag, created by YOU for THEM! We hope to inspire you with three very special projects by Stacey, Anita, and Vero using our beautiful collections today! 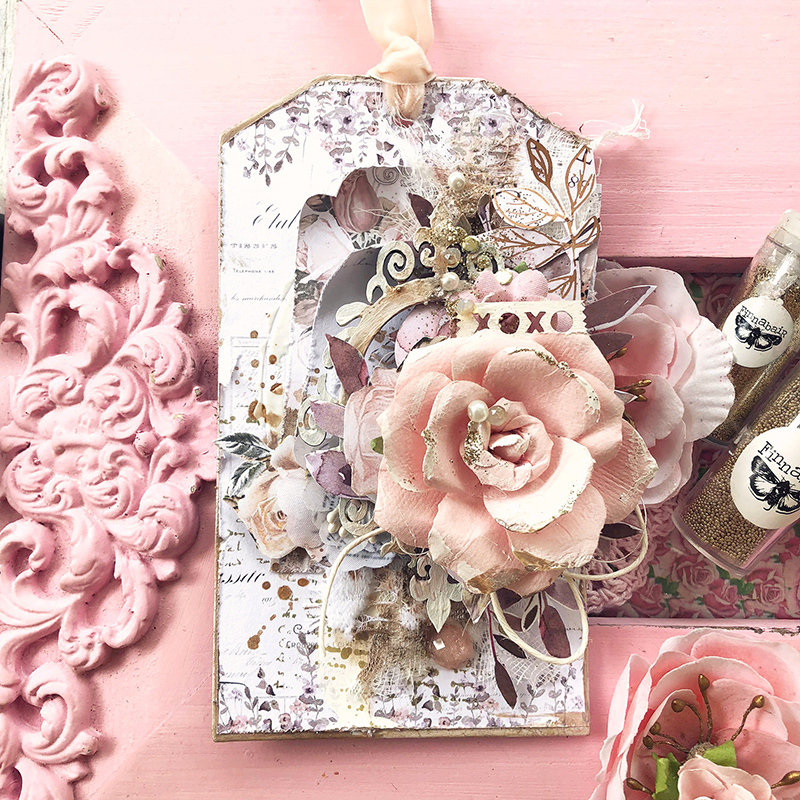 How precious are each one of these Valentine’s Day projects? You could literally use almost any of Prima’s paper collection and create a beautiful, love-filled card or tag for your someone special. I encourage you to spread a little love and kindness around on the 14th!